Some really good bands there, also some really crap bands, But download right now is looking much stronger than Sonisphere. I wonder how they will try to top this with their next announcement. The finnish love mettallers return with the follow-up to 2007s Venus Doom, Screamworks: Love in Theory and Practice. Opening track In Venere Veritas opens the album in a spectacular fashion, with great vocals from Valo and some great guitar work from Mikko “Linde” Lindström. Ville Valo’s lyrics on this album are based on his experiences of falling in love, which may explain why the album is so upbeat, but the lyrics on this album are really good and there are many memorable lines. The first single, Hearkiller is another great song, with some cool synths and a gain great guitars by Linde, possibly the most under rated guitarist in rock music. Screamworks is probably then catchiest HIM album to date, with some dazzling choruses that make you want to sing along. There is also much more keyboards and synth on this album that any of their earlier releases. My personal favourite song on the album is Disarm Me (With Your Loneliness), a superb ballad, with again excellent guitars from Linde, the solo on this track isn’t the most skillful solo but it fits the song perfectly, and again, this song has a great chorus, which makes you want to wave your lighter in the air. The only flaw with this album is that HIM haven’t tried anything really new, but then again, if it’s not broke, don’t fix it. 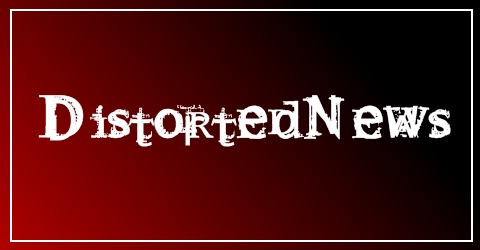 Like St. Valentine, the second single from the album, is also brilliant, it will definitely be included in the next HIM best of collection, as will many of the tracks on this album. 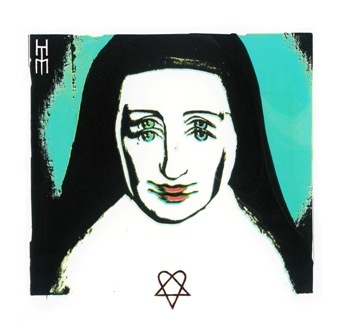 In all, this is another fantastic HIM album, which is almost on the level of Love Metal and Dark Light. if you like HIM, then buy this album, you will not be disappointed. Highlights: In Venere Veritas, Heartkiller, Disarm Me (With Your Loneliness), Like St. Valentine. HIM’s new album will be released next February and will be titled Screamworks: Love In Theory & Practice.